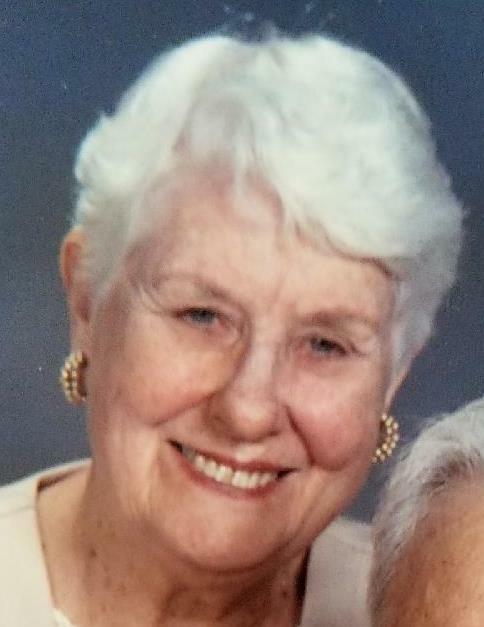 Obituary for Shirley D. Ellis | McDonald-Aeberli Funeral Home, Inc.
Shirley D. Ellis, age 91, of Clermont, FL., formerly of Plantation, Fl., and Glenshaw, PA, passed away on Saturday evening Mike Conley Hospice in Clermont. Born in Pittsburgh, PA on November 3, 1926, she was the daughter of the late Harrison and Florence Dietrich. Shirley was a retired Registered Nurse and had worked for Montefiore Hospital and Eastern Airlines. Shirley and her late husband, Ed had traveled extensively, visiting all 50 states, as well as Europe, India, China and Africa. She had taken safaris in Africa several times and took her son and daughter there just a few years ago while she was well enough to travel. Their home was filled with artifacts and artwork depicting their African safari. She loved writing poetry and was very close to her Mars family who eagerly anticipated their annual summer visits from sunny Florida. She was an active member of the Plantation United Methodist Church while living in that area and had regularly volunteer feeding the homeless and hungry in Ft. Lauderdale. Most recently, she was an active member of the United Methodist Church of Clermont. Surviving are her daughter, Jody L. Ellis of Plantation, FL and her son, Scott E. Ellis of Orlando, FL, by a sister-in-law, Peg Ellis of Mars, and many nieces and nephews. She was preceded in death by her husband, Edward C. Ellis, who she married on June 25, 1948 and who died on June 5, 2011. Friends will be received at the McDonald-Aeberli Funeral Home, Inc. 238 Crowe Ave. Mars, PA on Sunday, September 9, 2018 from 7-9 PM. Services will be held on Monday at 11:00 AM at the funeral home, with Rev. Ron Brown, pastor of Hope Lutheran Church, officiating. Burial will be in Allegheny County Memorial Park, McCandless Twp., PA. Memorials may be made to Jessie Salone Nursing Education Fund, Memorial Foundation, 3711 Garfield St. Hollywood, FL 33021. Directions and condolences are available at www.mcdonald-aeberli.com.